Oils are unrivaled when it comes to treating dried-out tresses. Natural oils nourish hair deeply for the kind of lasting results that knock the temporary effects of creams and lotions out of the park. When choosing an oil to use as a hair treatment, take your hair type into account. Olive oil works best to soothe a dry scalp and hair, while avocado oil repairs and protects. Add a dab of olive oil or avocado oil to your beauty regime to banish dry hair. 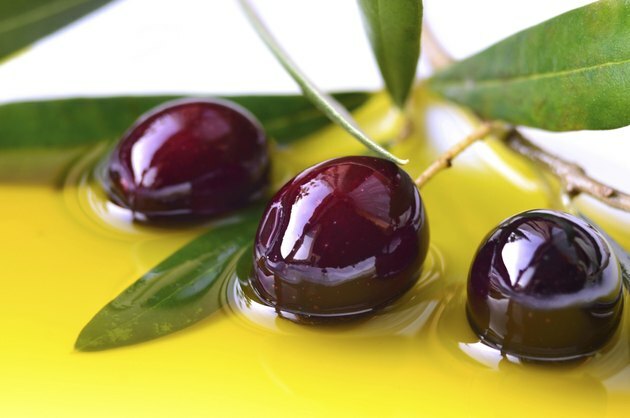 Olive oil coats hair for a frizz-free finish, while anti-inflammatory properties soothe scalp irritation. It's thick consistency makes it an ideal fit for textured hair that absorbs cream products all too quickly. Hair is sealed and protected from humidity and dryness for days. It works best when used once a week as a pre-shampoo treatment, as any more can weigh tresses down. Olive oil is the most accessible oil treatment with bottles being widely available in grocery stores and supermarkets. Avocado oil is ideal for hair that is dry due to heat damage and environmental factors. It's high vitamin E contact strengthens hair to prevent breakage, while helping to bind split ends together. It is lighter than olive oil, and will absorb into the cuticle without weighing your hair down. Avocado oil can also encourage healing on the scalp when faced with a sunburn and acts as a natural sunscreen. It can be used on a daily basis as part of your cleansing and styling routine. Avocado oil blends well with conditioners and styling products to enhance moisture without creating a heavy consistency. Purchase avocado oil in a jar from your local health food store, and keep it on hand for six months before replacing. Olive oil is most effective on hair when used as a deep conditioner. Coat dry hair from roots to ends in olive oil, and wrap it in a warm towel. The heat from the towel will help the oil absorb into your hair. Allow the oil to sink in for 30 minutes and rinse completely. Follow up with a deep-cleansing sulfate-free shampoo to remove buildup from your scalp. A small dab of olive oil can be applied on a daily basis to encourage add shine and tame frizz. Rub a dime-size amount between your fingertips to warm it up before gently sweeping it over any problem areas; just be sure to avoid your roots. Use avocado oil to refresh and protect your hair on a daily basis. Massage a dime-size amount into your scalp while your hair is damp, and comb it through with a wide-tooth comb. This will detangle while thoroughly coating your hair. To smooth dry hair, pull the oil through the ends using only your fingertips. This method keeps the style intact and prevents breakage. Reapply throughout the day as needed to tame frizz or renew the barrier before going out into the sun and wind. Add a drop of avocado oil to your favorite cream styling product to moisturize hair while adding shape.